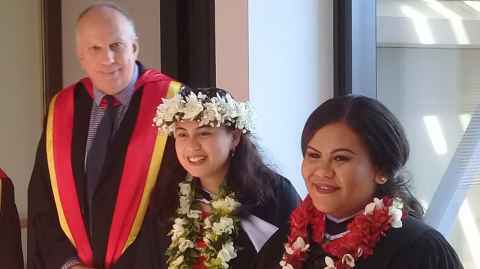 University of Auckland Vice-Chancellor, Professor Stuart McCutcheon, advised graduands today that the processions for the Autumn Graduation ceremonies have been cancelled. 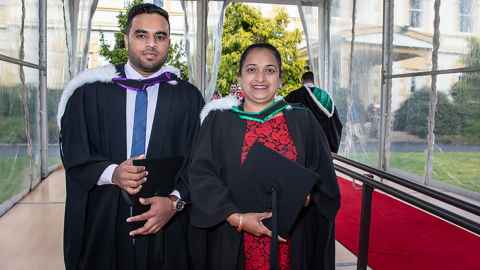 New teacher Rohini Lal joins the profession with many years of classroom work behind her – in Fiji, and as a teacher aide and after school helper here in New Zealand. 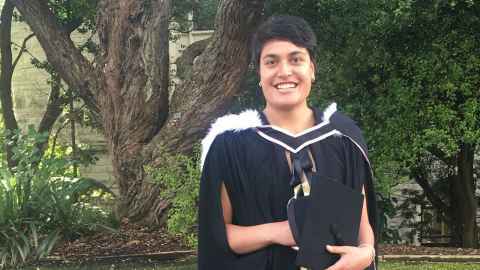 Graduating with a Bachelor of Arts in Geography and Anthropology was extra special for Fa’amu Ioane, who has balanced her study with premiership-level netball. 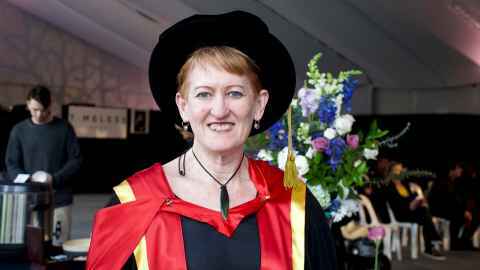 How Māori and Pākehā engage face-to-face, and develop strong relationships across difference, was central to PhD research by Dr Frances Hancock who graduated from the Faculty of Education and Social Work. 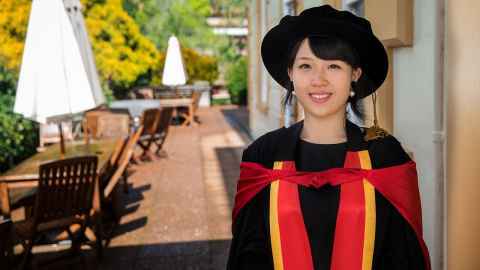 Dr Lina Li, a lecturer in Accounting at the Business School, graduated with a PhD this week. 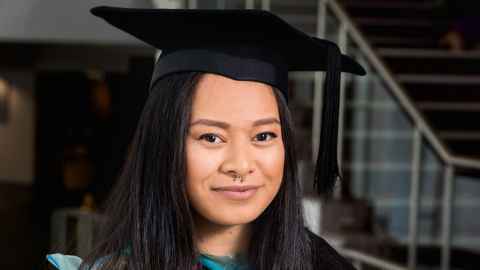 Family from Auckland, Tauranga and even China joined her to celebrate and watch her accept her degree. 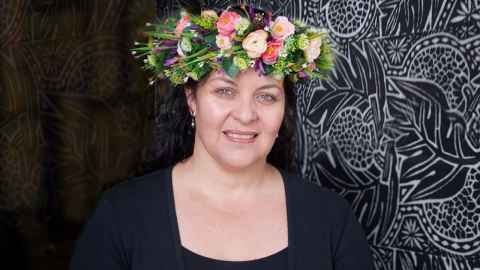 Embracing the different facets of her cultural identity has been the driving force behind the University of Auckland postgraduate research of New Zealand-born Samoan Ufitia Sagapolutele. 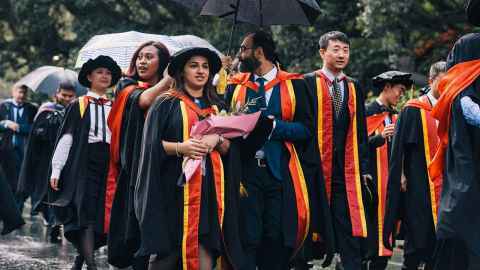 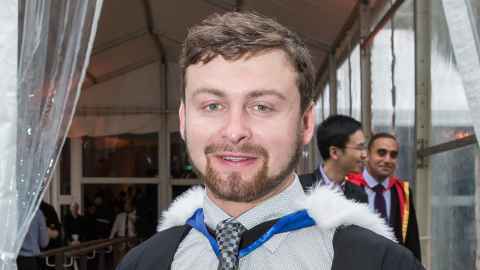 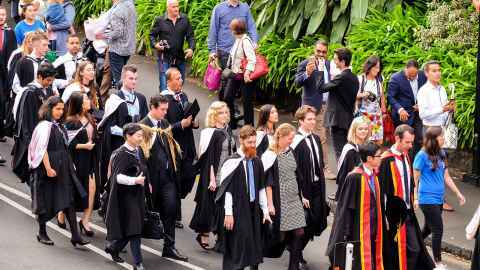 Dodging the occasional rain shower, more than 2,000 graduands received their qualifications in the University of Auckland Spring graduation on Tuesday. 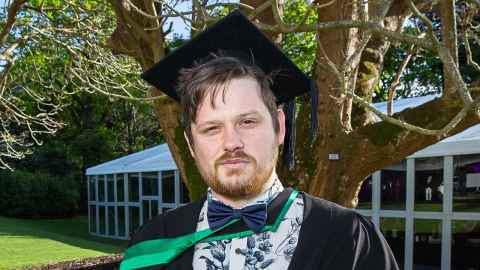 A science project at Kerikeri High School sparked a lifelong interest in microbial science for Alastair Harris, who is about to embark on a PhD in Molecular Microbiology. 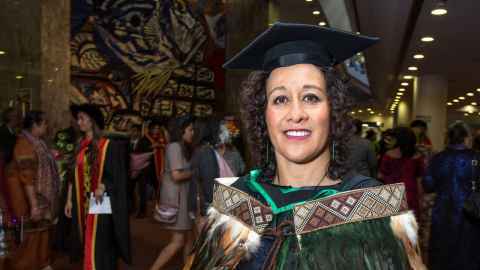 Napier's Sharron Fabish graduated from the University of Auckland this week after finishing her research into the benefits of IronMāori, an indigenous triathlon.